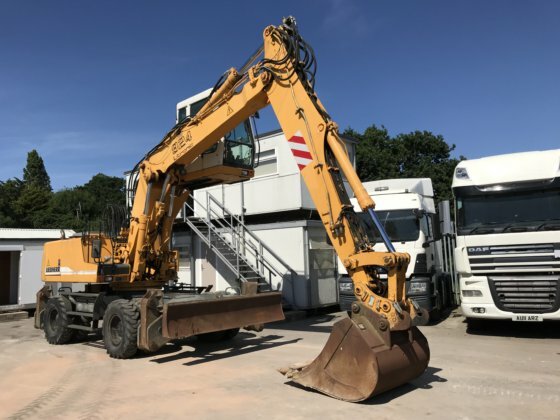 "2003 Liebherr Wheeled Excavator, 3990 Hours, 1 Owner, Service History, Elevating Cab, 4x Outriggers, 1x Dozer Blade, Liebherr Quick Hitch, Excavator Bucket, Re-Handling Clamshell Grab Attachment"
didn't think it was overly pricey .... could the lifters be unbolted and removed ?? handy tool if you had a wading job for it ? Blade mounted quite high up.